This all natural paleo fruitcake is made with dried fruit, lemon zest and spices and make the perfect holiday cake! I remember years ago I watched a tv show sharing about these monks who made a special fruitcake recipes that had been made for hundreds of years for Christmas. I was hooked and I needed to buy it. Growing up we never ate fruitcake. The only holiday recipe my mother brought out with any regularity was pecan pie. Any how, the internet was in it’s infancy when I watched this TV show, so I did the best I could and found a small convent in Oregon that also sold a special fruitcake recipe. I ordered it and, well, I was a bit dismayed when I took a look at the ingredient list. Corn syrup was number one on the ingredient list. Ugg. Then there was a bunch of other ingredients that turned my smile upside down. I had just spent $50 on fruitcake so, yeah, I wasn’t too happy. 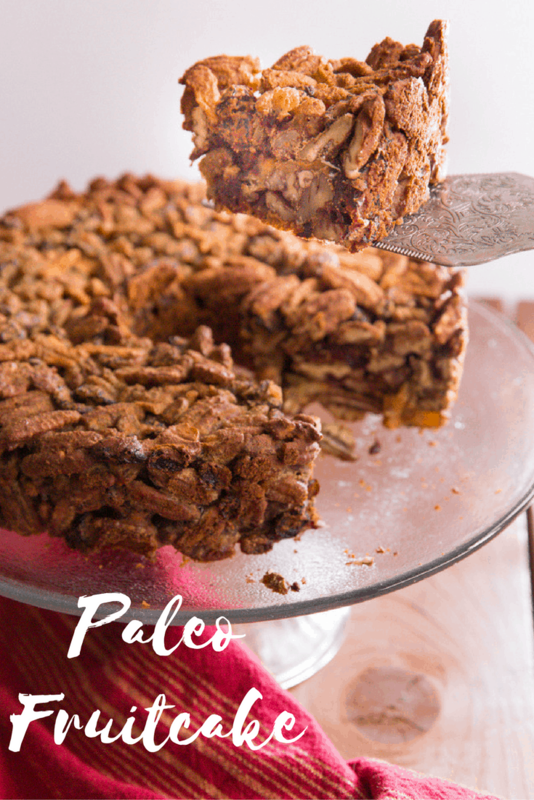 That day made me realize that I needed to make something and it took me several years to finally get this paleo fruitcake recipe right but it is CRAZY good. 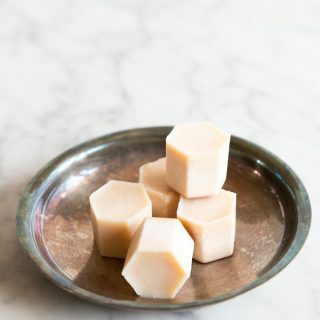 It’s made with all natural ingredients and no artificial, chemical filled food products. It uses coconut flour as an ingredient. Can I substitute regular raisins for the golden raisins? 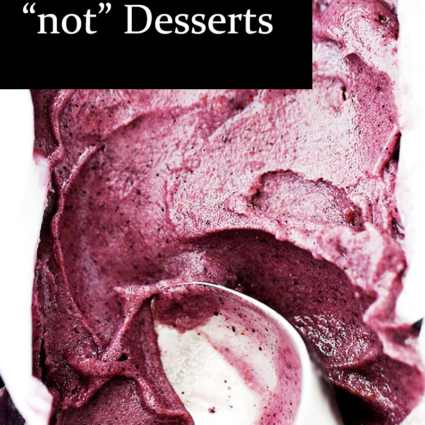 Yes, you can substitute this as well as make changes to the other dried fruit in the recipe. Just make sure to use equal quantities. Can I use orange zest instead of lemon zest? Yes, you could even go a little wild in the kitchen and use lime zest. 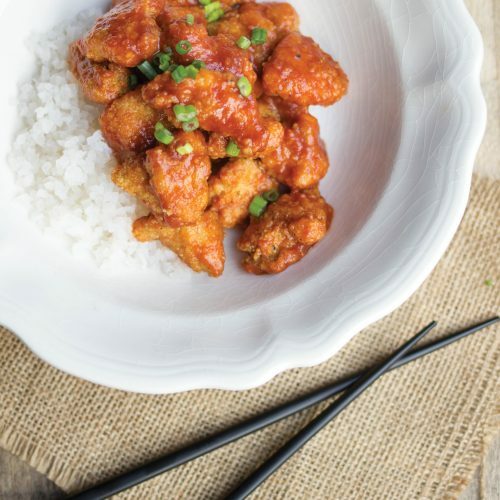 Can I substitute tapioca flour or cornstarch for the arrowroot? Yes and no. 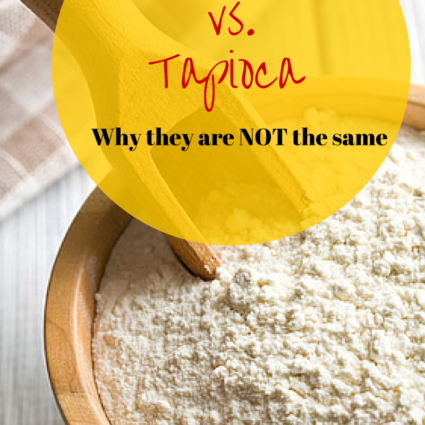 If you have more information about how these flours are different check out my post on tapioca flour vs arrowroot flour. Preheat your oven to 300 degrees and grease your baking pan. I use a non-stick angel food cake pan. In a large bowl add the dry ingredients and mix with a spoon until well blended. Add in the nuts, fruit and lemon zest, eggs and maple syrup. Mix with a spoon until well combined and blended. Pour into your pan and lightly pat down. Place in your oven and bake for 1 hour and remove from the oven and let cool completely.